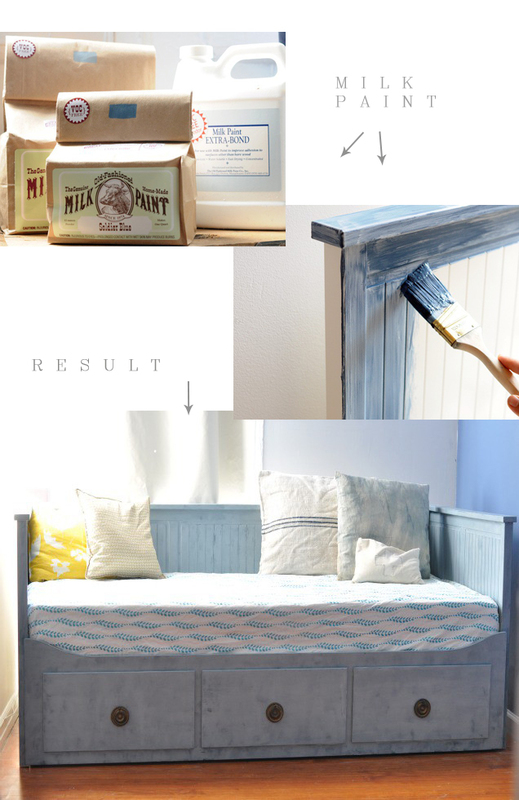 Jen from the Haystack Needle gave this daybed for her nursery a seriously charming makeover using milk paint and some vintage knobs - I am so impressed and inspired by this, isn't it amazing? She shared the full tutorial and process right here, and you'd never guess which well-known (and budget friendly) piece she started with. oh i've never heard of milk paint, it makes a really pretty effect! Oh wow!! And the packaging is so pretty too! Wowza ... this project turned out so amazing! Love how a bit of paint and new knobs can totally transform!